This is my fourth day of posting pictures from my three visits to Xi’an. The pictures are being posted in chronological order. Many of these haven’t been posted before. All have been reworked (using Lightroom and sometimes Photoshop) for these postings. 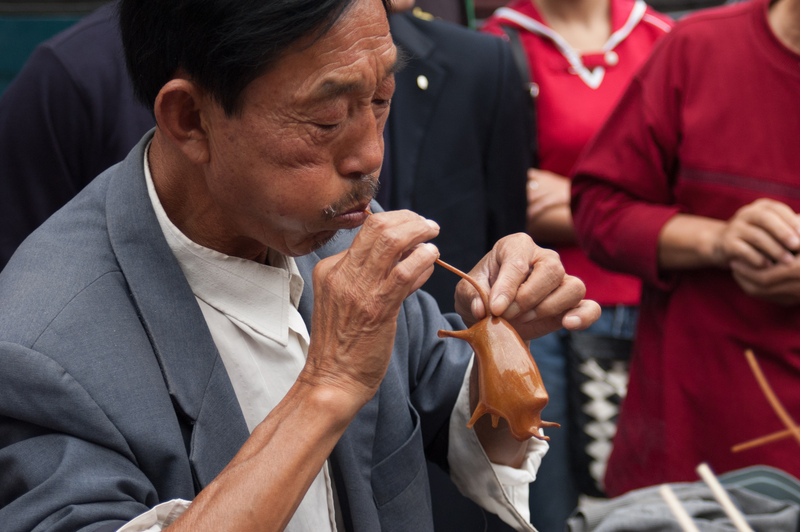 The first shot is of a vendor blowing hot sugar into a bull. I’ve got a video of the process somewhere. Really quite amazing to watch. 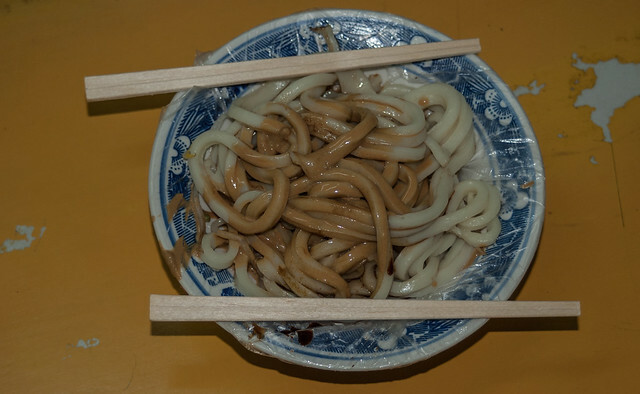 The second is of a bowl of Liangpi noodles (yum). 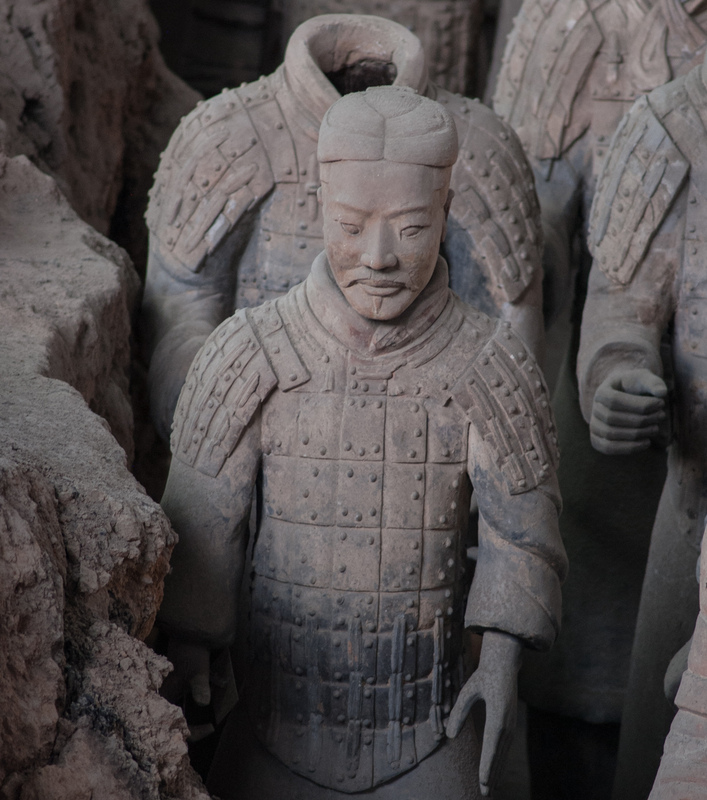 The third shot of soldiers in the terracotta army was taken with my 300 mm. Again, it is one of only three shots of the army that I’m including in this set. 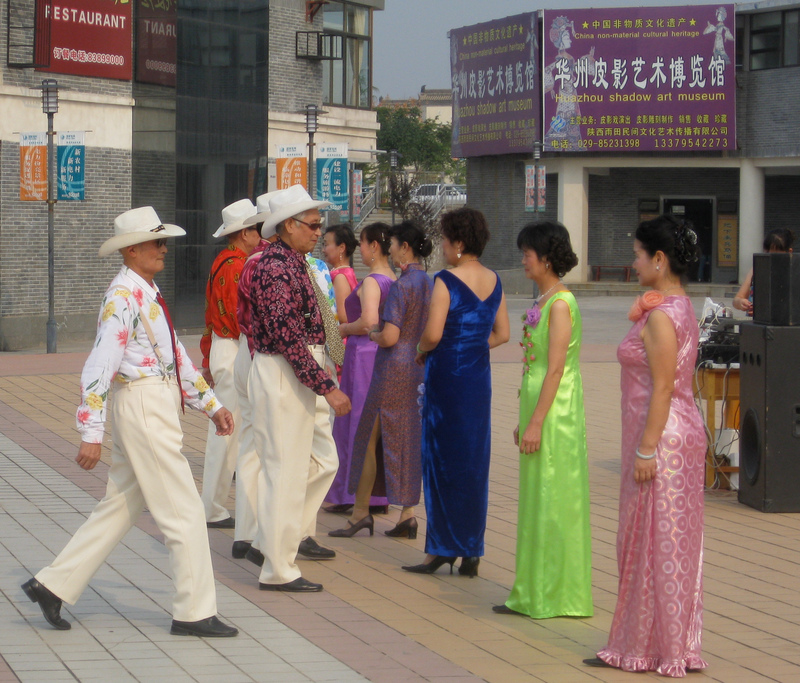 The fourth is of some fancy dancers in the huge retail park that has been built adjacent to the site of the army. the dancers are so colorful. and i can feel them preparing to have a very good time. if you can find the video of the sugar blower, please, post it. amazing. you have caught the moment so well, robert. Thanks. I’ll see if I can find it. I have two of those warriors in my garden. One of the things to do when a tourist goes to Xi’an is visit the large factory in which the replicas are made. I’ve got a shot from the factory in an upcoming set. when we visit the digs, the only thing was a small museum and a covering of the warriors — the rest, all country. when we saw the row of courtiers in another area, they were surrounded by fields. Wow. There were three buildings covering the pits when I last visited. The retail plaza had grown quite a bit from the first to the last visit.